Cubitt's Community Studios scheme was established in 2012 at St Luke's Community Centre in Islington. Five artists work in studios amongst dance studios, meeting rooms, a cookery school and an IT suite for local EC1 residents. In 2014 two studios were established within an Extra Care setting near Dalston run by Notting Hill Genesis housing trust. Studios are rented to selected artists with a social practice at 'affordable' rates in exchange for artists' time in-kind working creatively with residents and members. 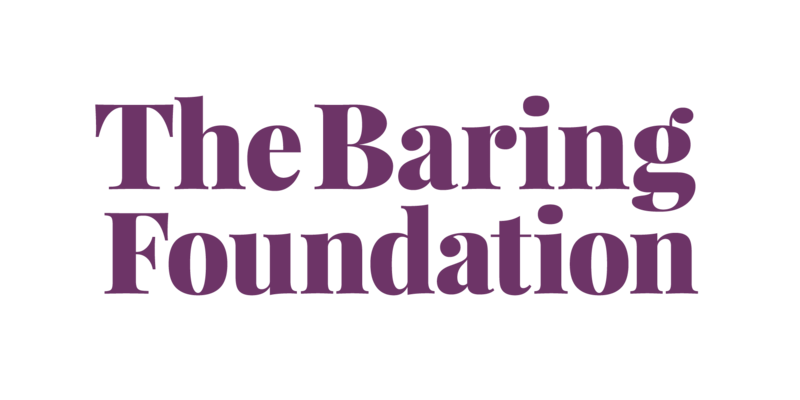 In 2018 development of the scheme has been supported by The Baring Foundation. Currently Sadie Edginton and Joshua Sofaer have studios at The Mildmays Extra Care. Joshua has a background in Live Art and has been producing public performances and events since 1995. Joshua's work includes directing an opera with refugees in Stockholm, creating an exhibition with rubbish thrown away by the Science Museum, and curating a shop of noses as part of Hull City of Culture. Since taking on a studio at The Mildmays Joshua has spent time with residents one-to-one exploring the idea of hosting curated dinner parties, and as a group making salt dough sculptures and eating soul cakes to collectively celebrate All Hallows Eve. He is supported by Cubitt's Outreach Coordinator, Charlene Sandy. Most recently he began a project with the intention of working with individual residents to cast specific body parts and decorate, re-model or repair them. Quite early on in conversation this developed into something else. One resident had moved into Mildmay with reluctance, wishing to continue living independently. In the move, she lost her childhood teddy bear. This absent bear came to represent her mixed feelings about the move - her loss of independence, alongside acceptance that she needed to be in a supported living setting. Joshua helped her to make a new teddy bear, using her memories of the original. Working from her coloured pencil drawing, he sourced fabric, foam and accessories. Her brand new teddy bear caused great delight and brought comfort, easing her anxiety about her new living situation. They have now started to create a storybook. This resident has been 'life drawing' teddy in different scenes and sites, including a recent trip to the countryside. Another resident had recently been diagnosed with severe hearing loss, and is unable to use a hearing aid or have hearing implants. During conversations with Joshua about the project she talked about her feelings about the diagnosis, and expressed a desire to make something that represented her condition. She and Joshua created some large comical stick on ears for her to wear using felt and fabric, and adapting a pair of ear-muffs with the addition of button earrings. This light-hearted approach enabled her to have some fun, and use humour to acknowledge and take ownership over the changes in her sensory abilities. This is what is special about the community studios scheme: through co-habiting in the care setting, artists are able to develop sensitive, responsive relationships where, as described with Joshua, plans shift and change as artists collaborate with participants. This enables something unexpected to happen, a diversion from the artist's intention and from participants' expectations. And this is how we all, including Cubitt Artists and Notting Hill Genesis as commissioners, learn and are inspired. In 2019 we are excited about both Joshua and Sadie at The Mildmays and artists at St Luke's working with residents and adapting plans in response to their conversations. Through working closely together as partners, host organisation, arts organisation, participants and artists, we can nurture an environment of creative collaboration and exploration.